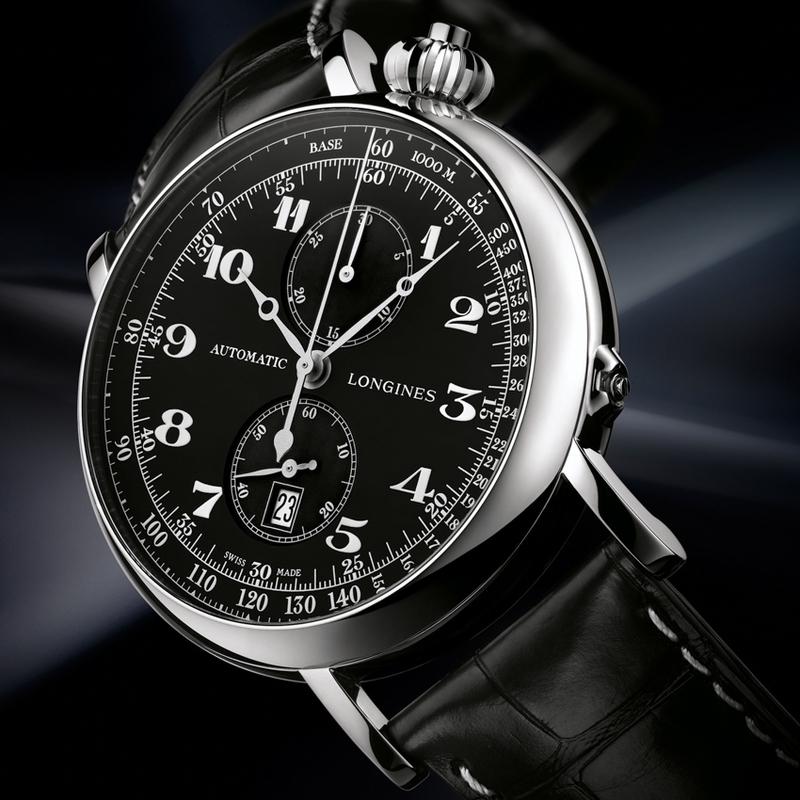 Established 1832 in Saint-Imier, Switzerland, Longines enjoys a long tradition of supremely elegant timepieces. 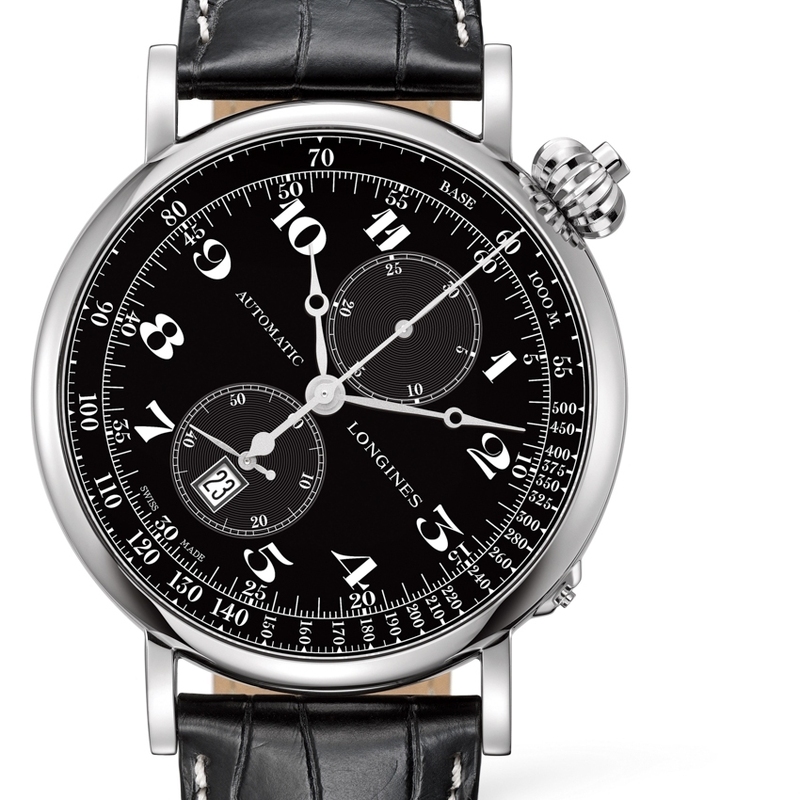 The Longines Avigation Watch Type A-7 draws inspiration from this rich history, and the brand's longstanding association with the world of aviation. The refinement of this single-pusher chronograph is sure to impress. Its steel case measures 49 mm in diameter and houses the calibre L788, an exclusive column-wheel movement developed for Longines. The black dial, set at an angle of 50° to the right, and the bold white Arabic numerals give this watch a character of its own. The tachymeter scale around the outside of the dial together with the "Breguet" hour and minute hands complete the eyecatching aesthetic of this watch, which is mounted on a black alligator strap. The back of the case is fitted with a cover that opens onto a sapphire crystal to reveal the movement in motion.